Have some questions? 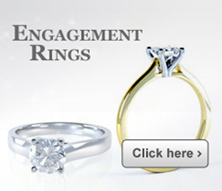 Like to know more about a particular diamond or setting? Alternatively, fill out the enquiry form below and email your queries to us. We can confirm availability on a diamond, provide you with a certificate, and answer your questions in just a few minutes.